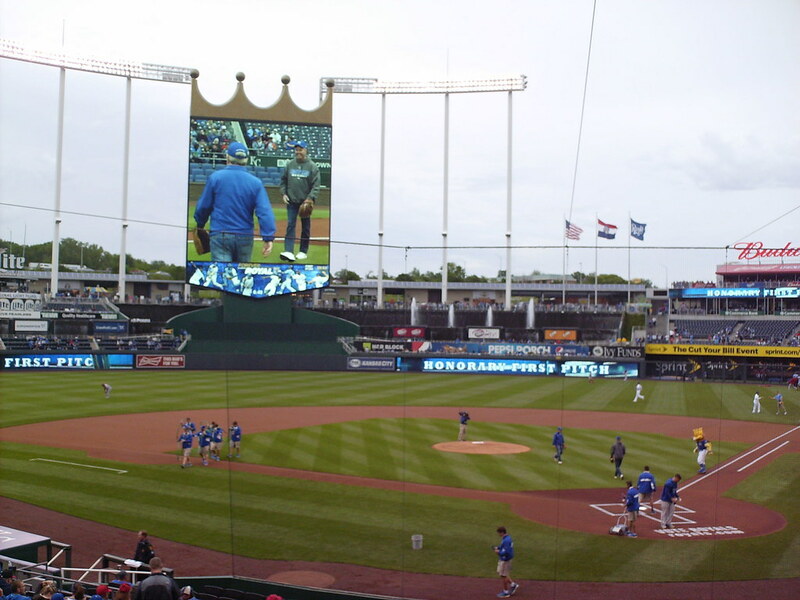 The view from behind home plate at Kauffman Stadium. 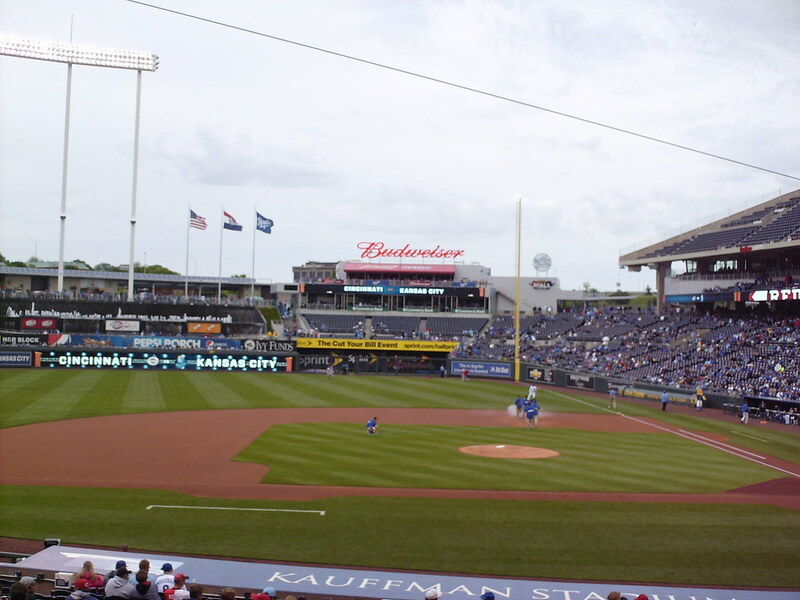 The grandstand at Kauffman Stadium, as seen from center field. 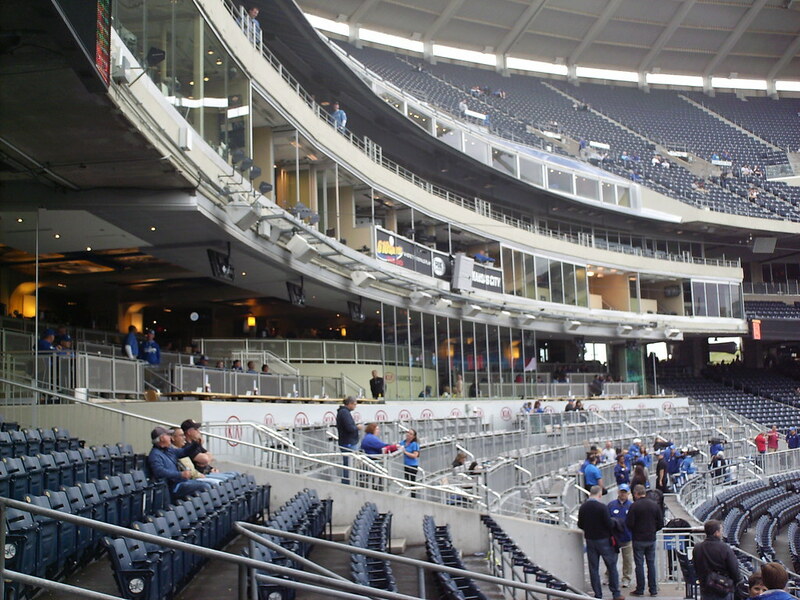 The pressbox and group party seating behind home plate. 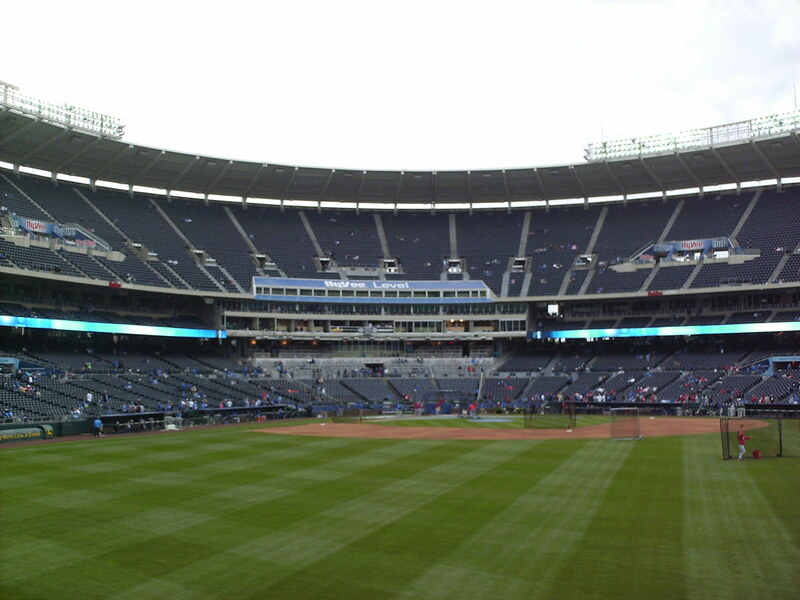 The seating bowl at Kauffman Stadium. 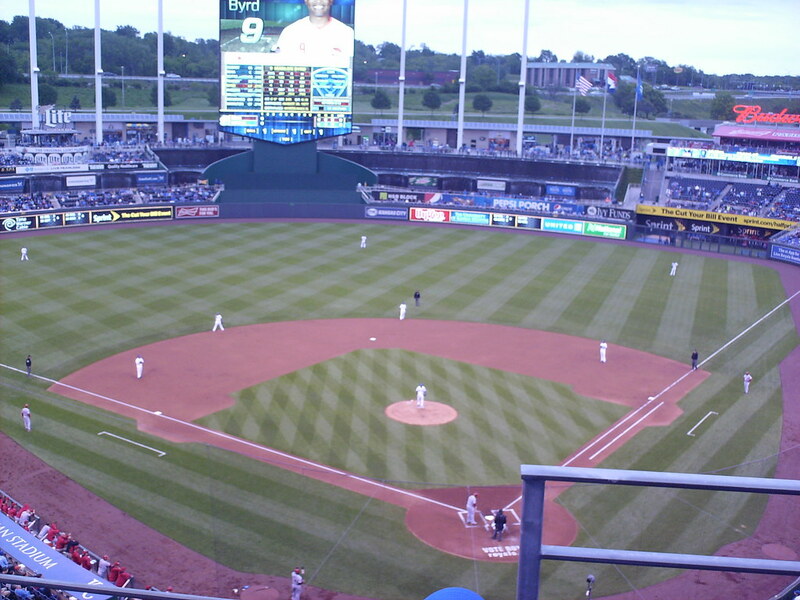 The first few rows behind home plate are padded box seats. 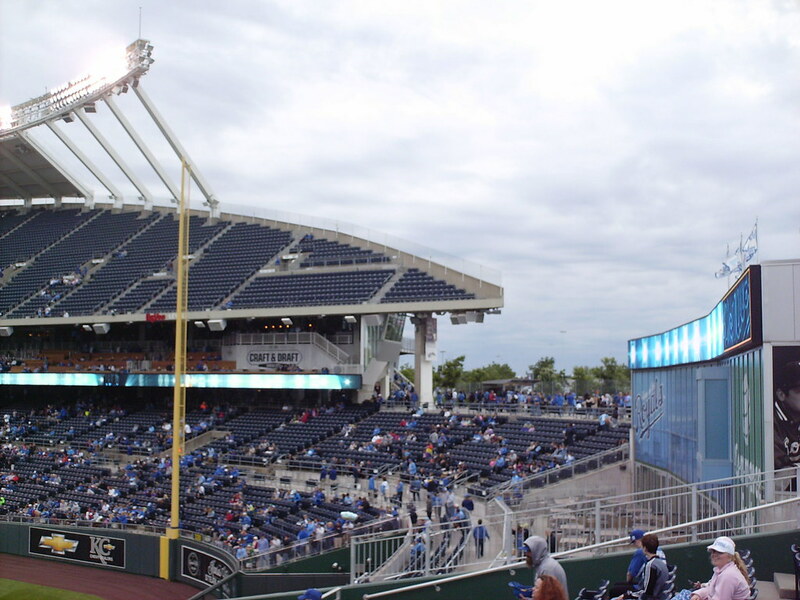 The upper deck tapers off as it reaches the outfield, with small seating sections at the ends. 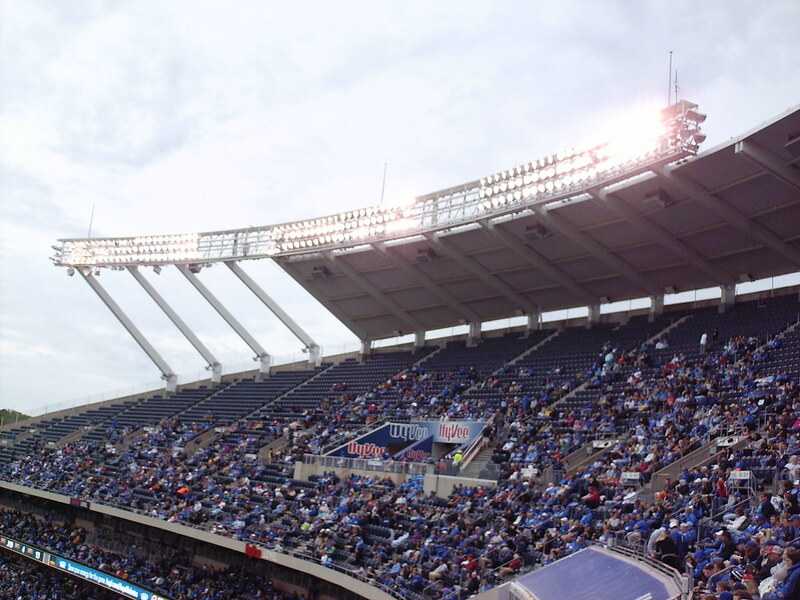 Lighting banks run along the facade of the stadium roof. 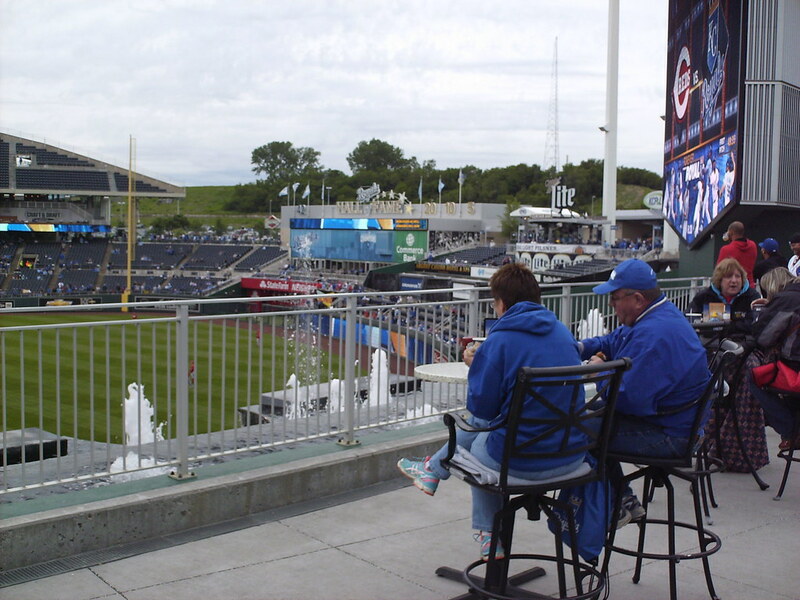 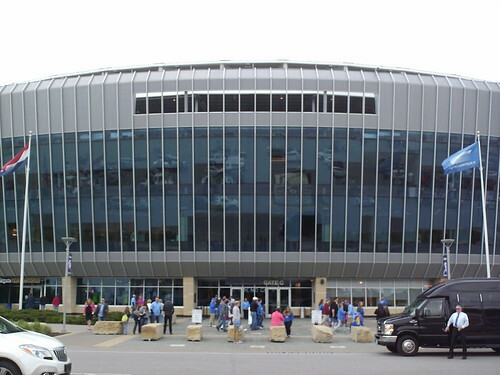 The Kansas City Royals Hall of Fame sits along the outfield concourse in left field, with picnic table seating in front of it. 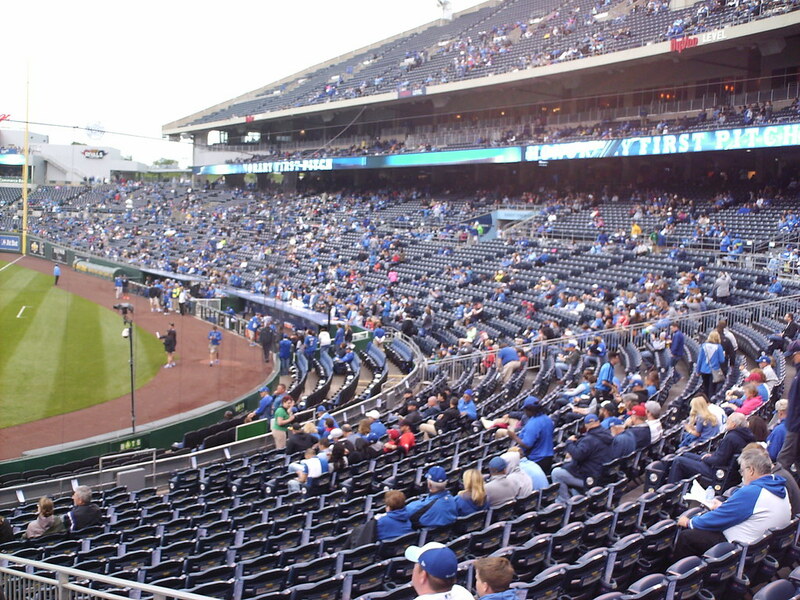 Outfield bleachers and group seating areas in left center field. 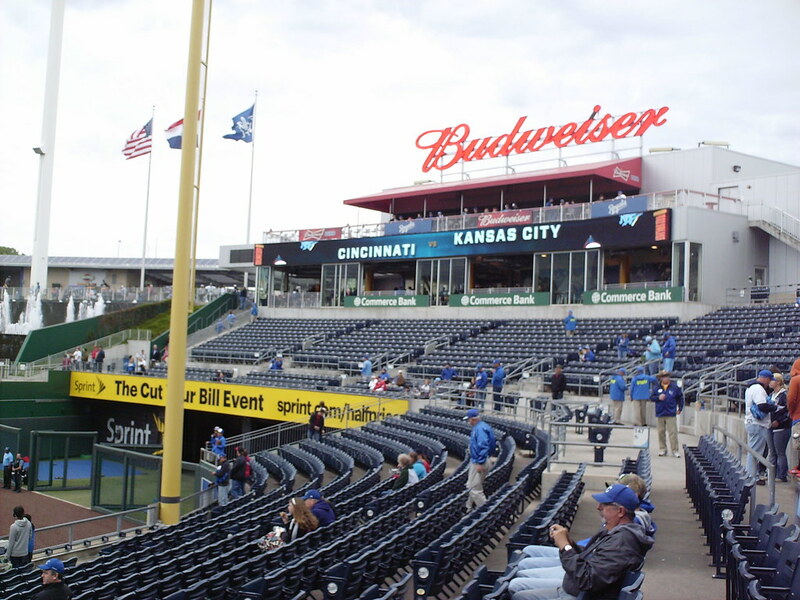 A restaurant with rooftop seating sits next to the flag poles in the right field corner of the outfield concourse. 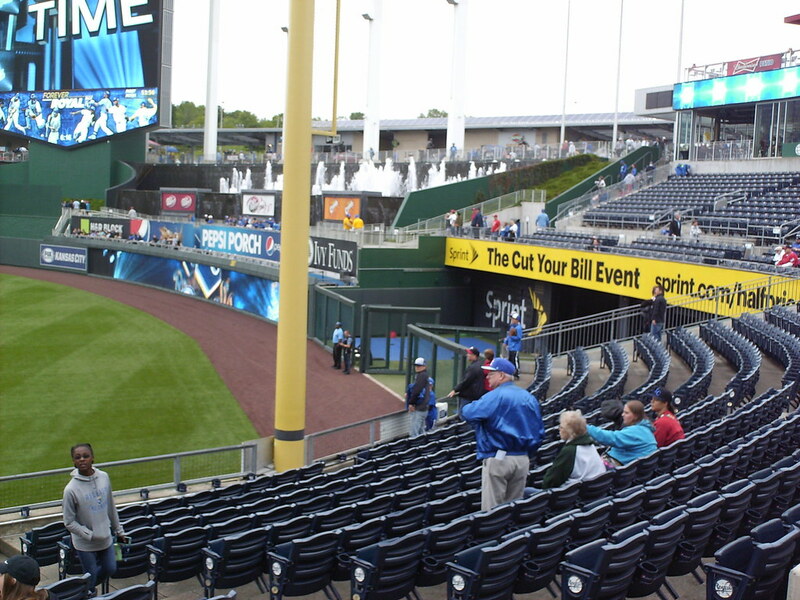 The seating bowl wraps around the foul pole, running up against the bullpen and facing back toward home plate. 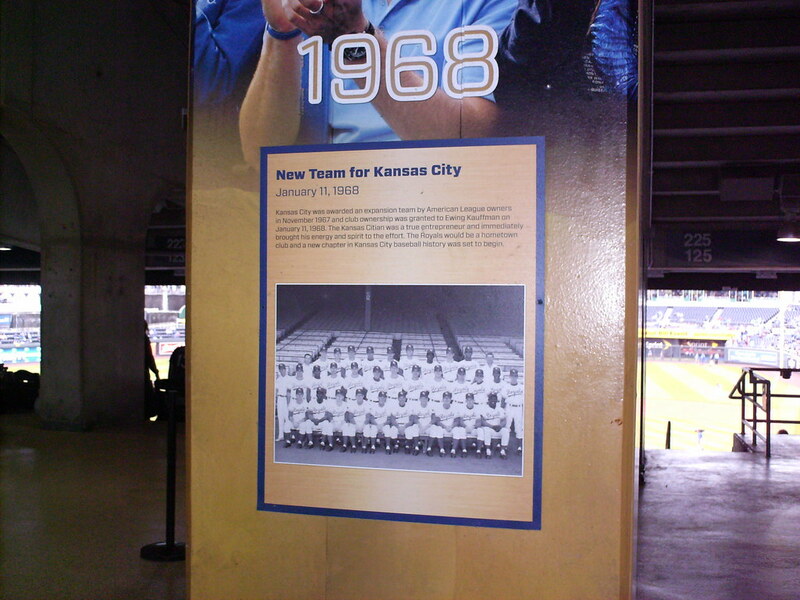 Plaques along the concourse celebrate the history of the Royals and baseball in Kansas City. 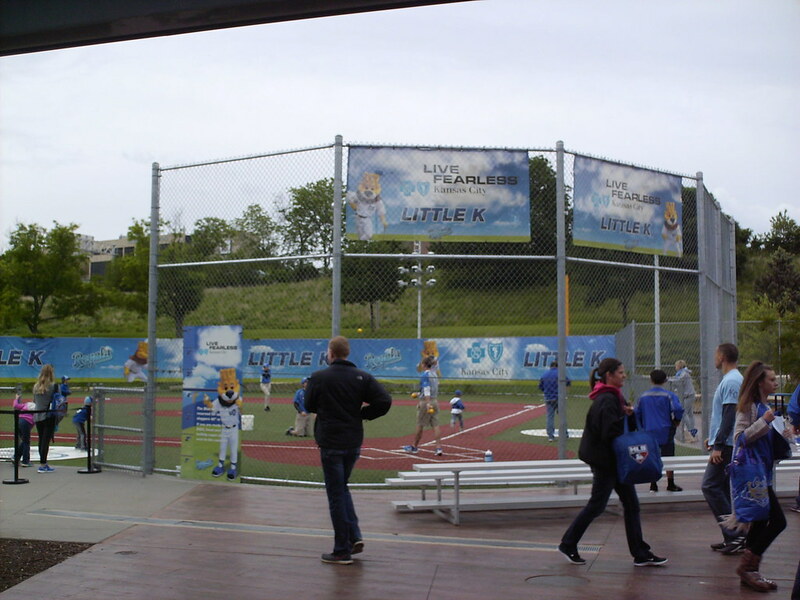 The "Little K" children's ballfield sits on the outfield concourse and features bleacher seating for parents. 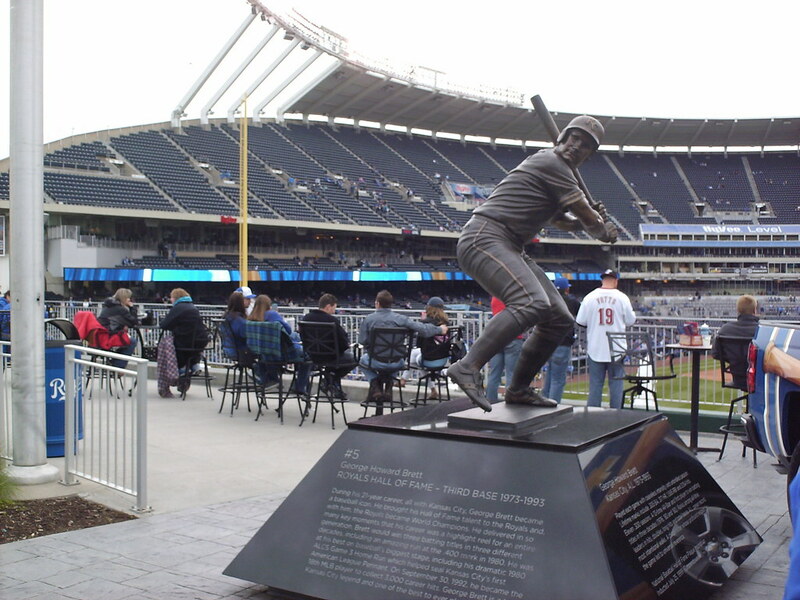 Statues along the outfield concourse celebrate Royals legends like George Brett. 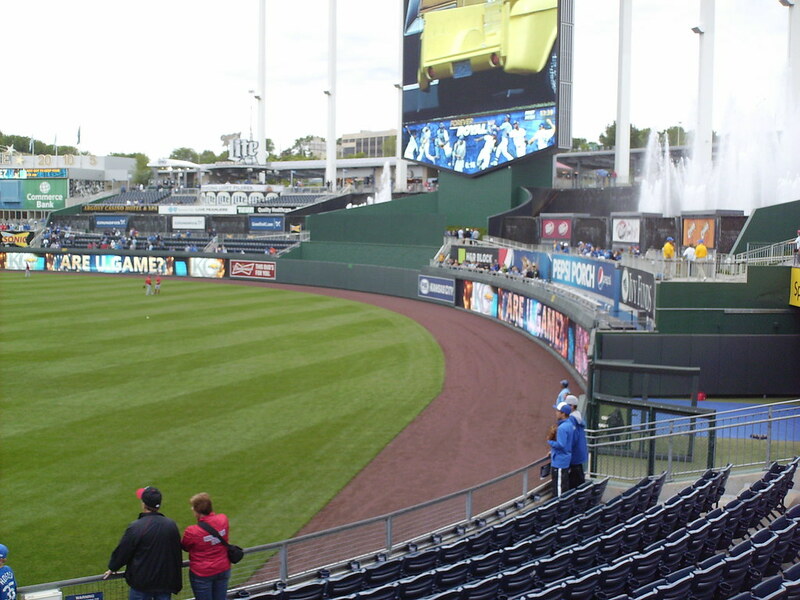 Table seating in right field looks out over the fountains to the field of play. 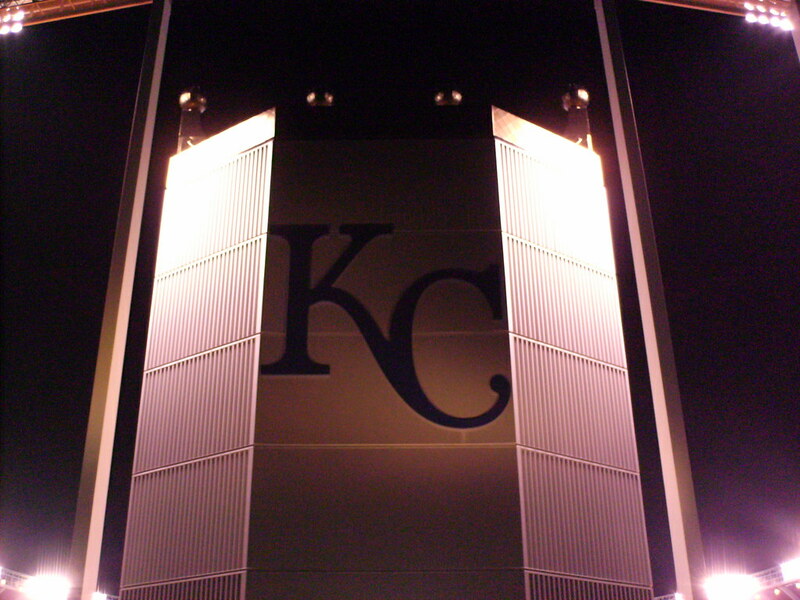 Royals retired numbers hang on the facade of the Hall of Fame in left. 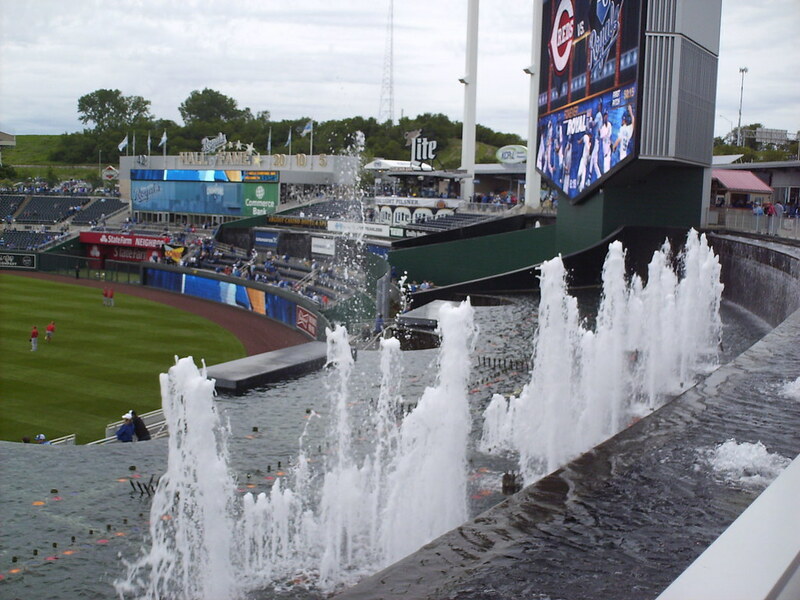 Kauffman Stadium features outfield fountains, which light up and go off when the Royals score. 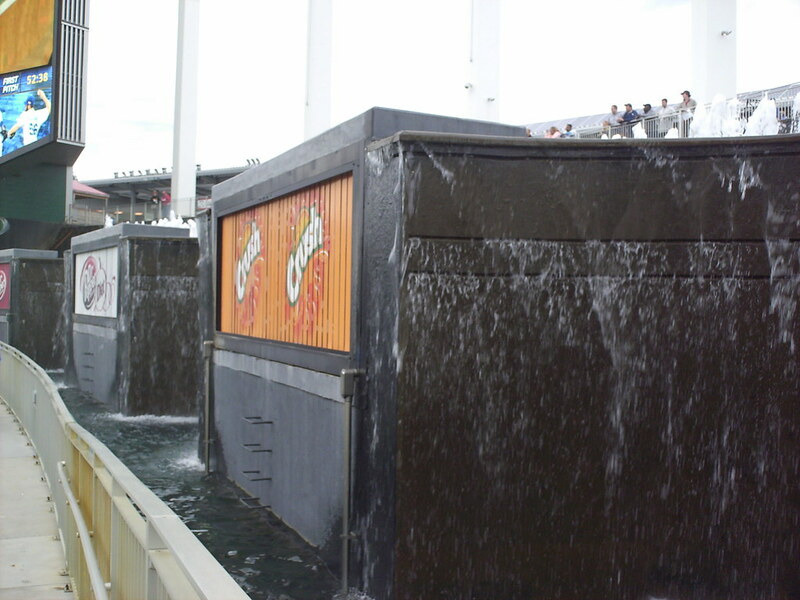 An outfield walkway runs right along the front of the fountains, allowing fans an up-close look at the ballpark's signature feature. 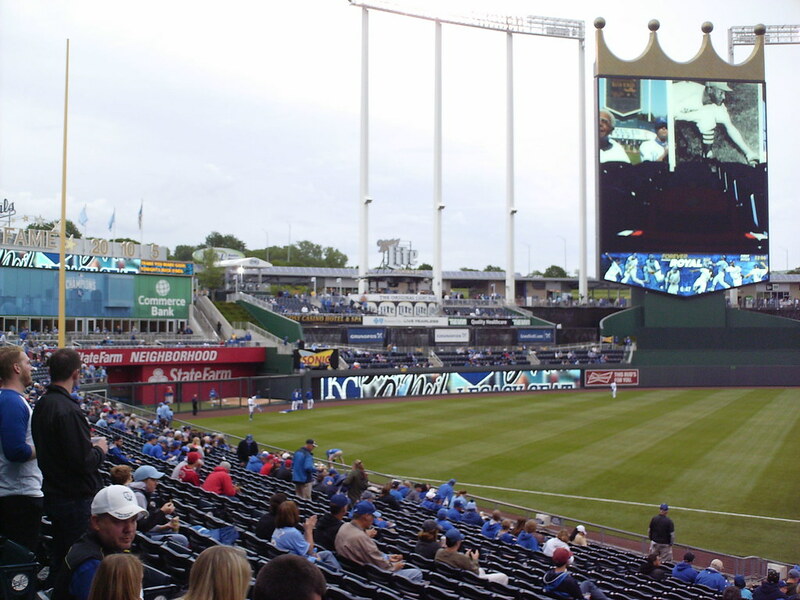 A massive crown shaped scoreboard towers over the playing field in center field at Kauffman Stadium. 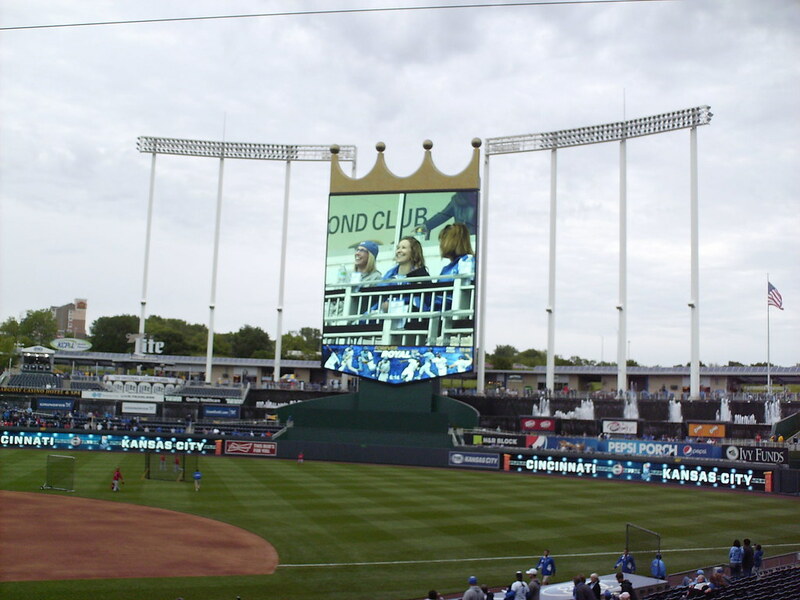 The Royals logo sits, illuminated, on the back of the scoreboard, visible to cars passing by on the highway behind the stadium. 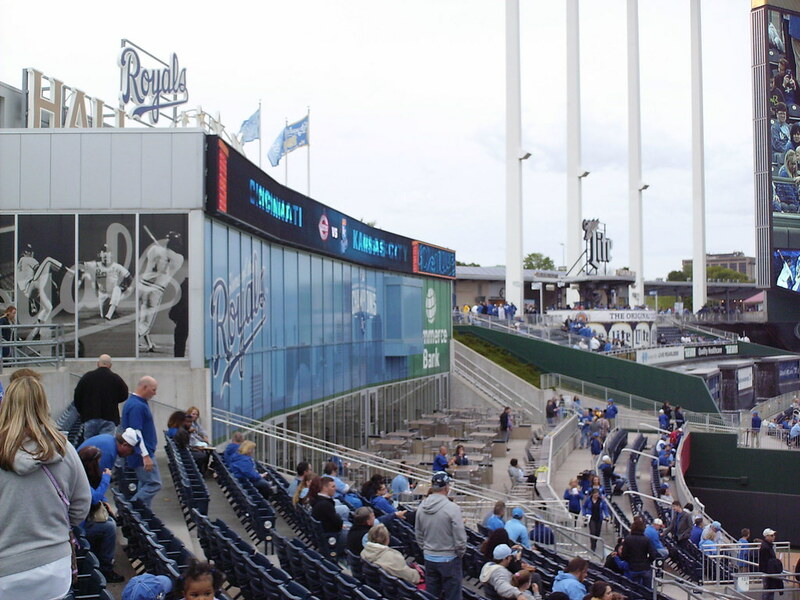 The outfield wall is a fairly uniform curve, with both foul poles the same distance from the plate. 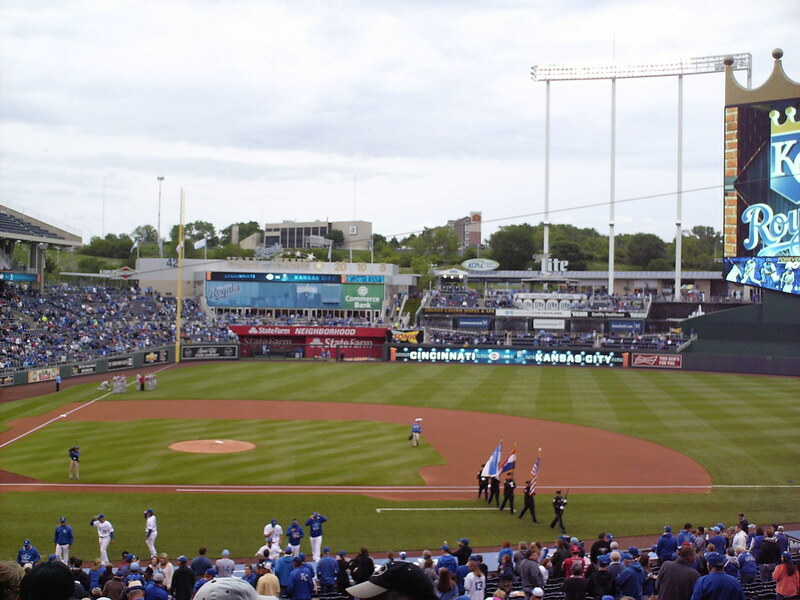 The Kansas City Royals on the field during a game at Kauffman Stadium.